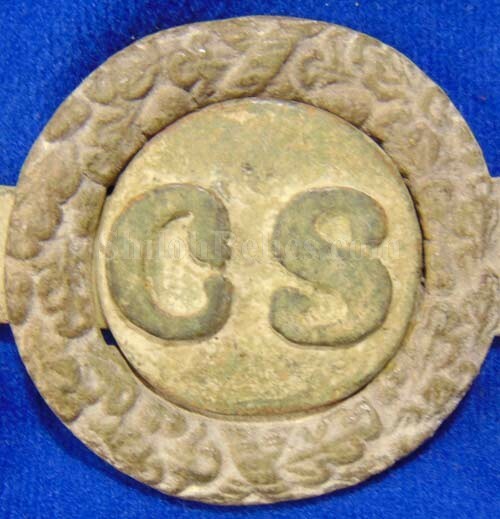 This is a great looking Confederate belt buckle. 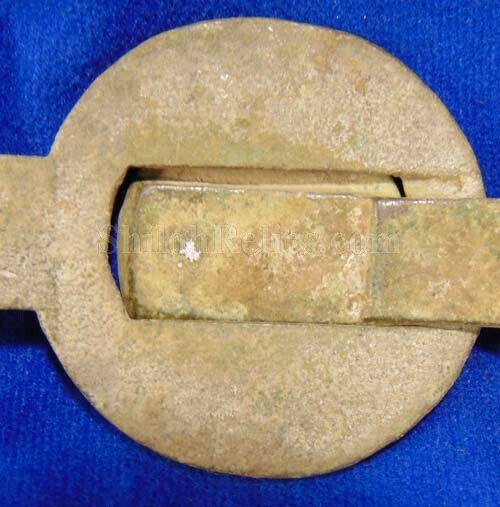 It is the version listed as Plate #013 in the revised edition of Confederate belt Buckles & Plates by Steve Mullinax. 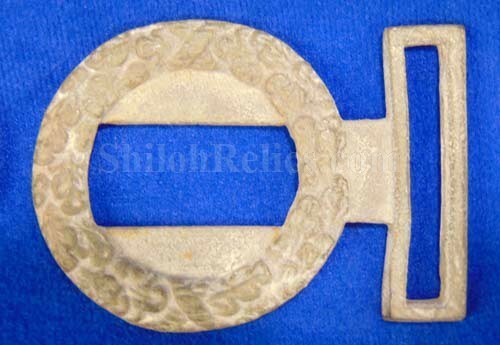 This pattern is known to collectors as the "Ball Serifs” pattern of two piece sword belt buckle. The bold C.S. 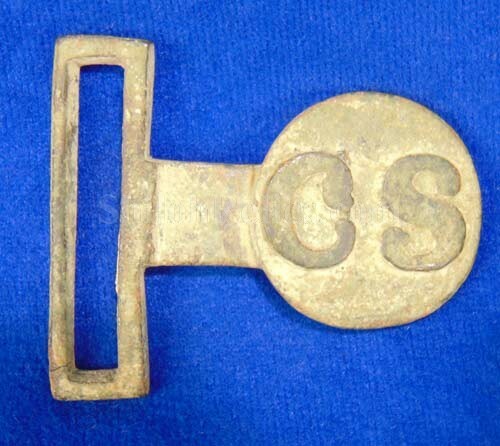 letters on the buckle has the large ball style serifs on the ends of the letters, hence their nickname. This particular style is also distinct because of the flat style back on the on the reverse of the wreath. This one is in beautiful condition and has no restoration of any kind. 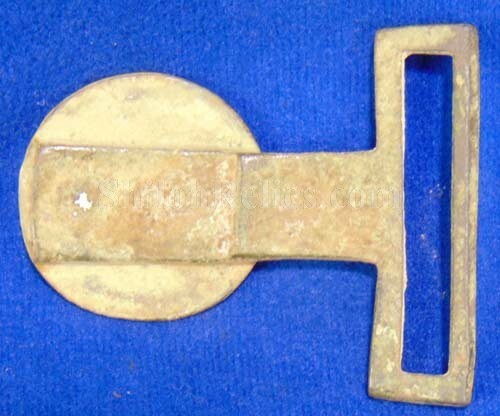 The letters on the buckle can be seen from across the room. 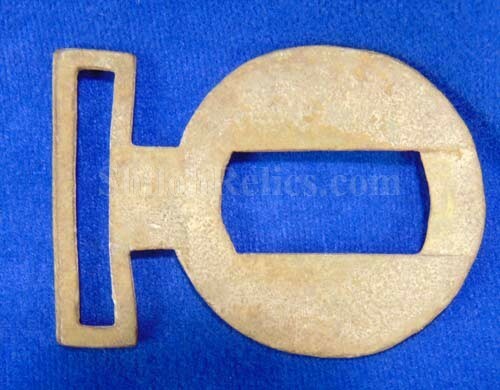 The history accompanying the buckle is that it was found in Shelbyville, Tennessee. Shelbyville is just South of Murfreesboro, Tennessee and it was the staging area for the Confederate Army during the winter of 1862. Murfreesboro was the location of the fierce battle of Stones River. 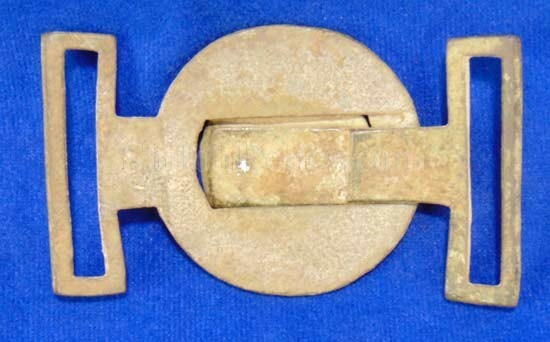 This buckle came from the award winning collection of Don Phillips. 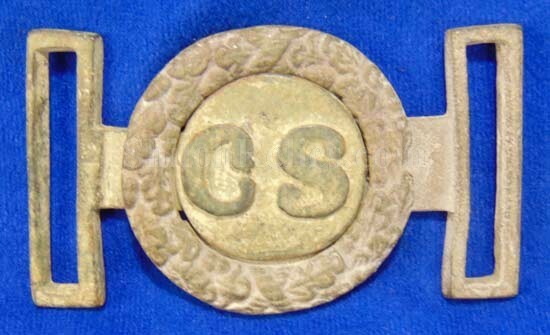 His Confederate Belt Buckle display won numerous awards at the biggest Civil War shows across the country. This is your chance to own a buckle from his "Best of Show" award winning collection. We are proud to offer this fine piece.